Mashed potatoes are a blank canvas. They are buttery bites of heaven no matter what you do with them. But chances are your family makes way too many of them and now you’re stuck with the aftermath. 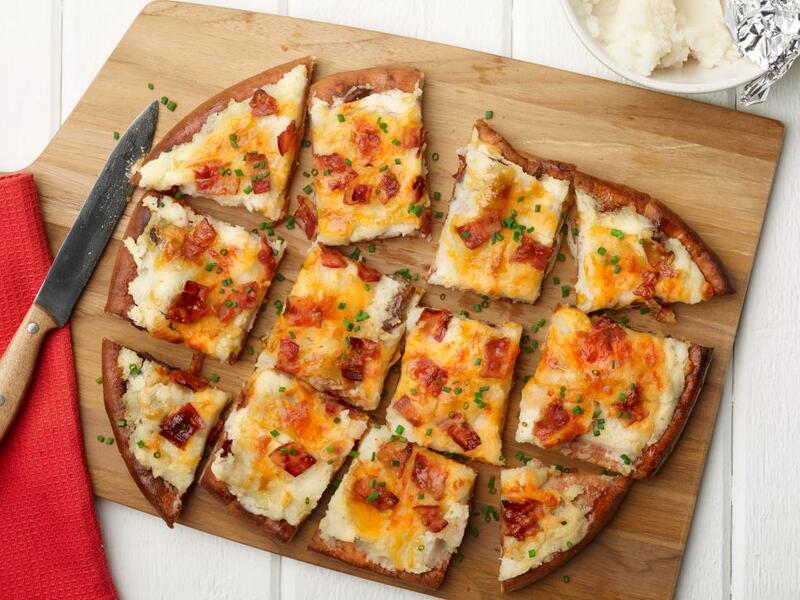 If you’re looking for a way to shake up these leftovers, take your favorite pizza dough (we love Trader Joe’s), top it with the already-prepared mashed potatoes and sprinkle with sharp cheddar cheese, bacon, and chives. Just like that, you’ve got yourself a whole new world of deliciousness. Even during the holidays, sandwiches are a fan favorite. So if you head home with tons of turkey leftovers, don’t squander the opportunity to make something delicious with it! You can put plain turkey on bread any day of the year. 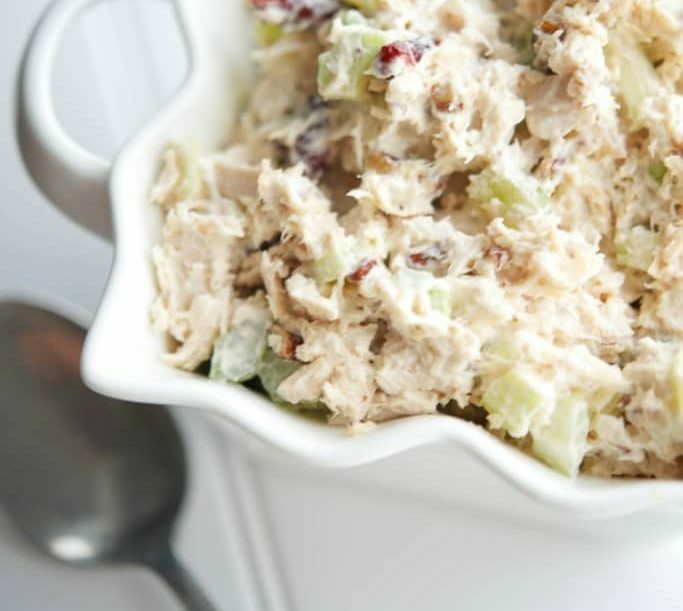 This cranberry turkey salad will transport you back to the Thanksgiving table, and it’s incredibly easy to make up on your own. 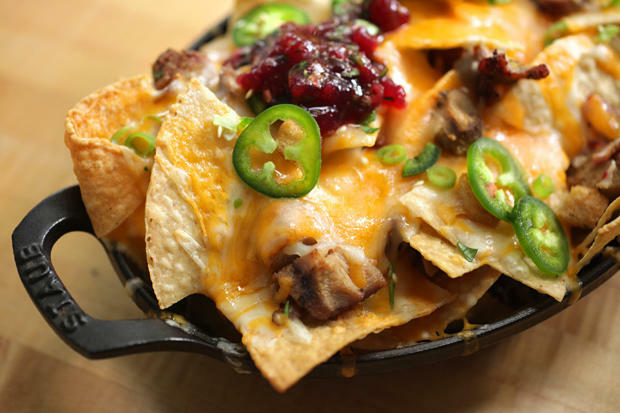 It’s probably very rare that you have roasted turkey and homemade cranberries on hand, but we know you have tortilla chips and cheese. Use these standard turkey day leftovers to kick this bar food favorite up a notch, right in your kitchen. 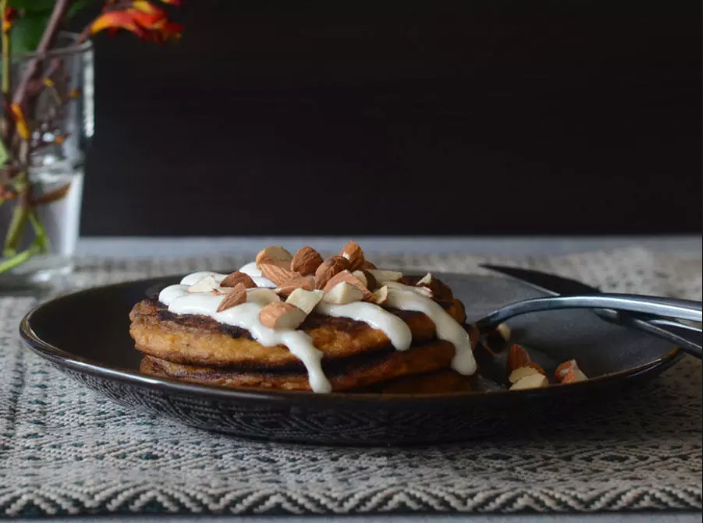 Shake up your normal breakfast routine with the sweet potato leftovers you’re sure to score. The best part is you can make these all at once and have breakfast for the week, and the smell when you heat them up will make all your coworkers jealous (and think you’re the next Bobby Flay). Thanksgiving Leftovers egg rolls! I like to mix up mashed potatoes, turkey and stuffing and roll them into Egg Roll wraps (can get them at any grocery store in the Asian aisle) then deep fry them. Mix up a tangy cranberry sauce and voila! That sounds awesome! Egg roll wraps are magic!